A fresh look into the monumental work of Paul Valéry, one of the major French literary figures of the twentieth century. 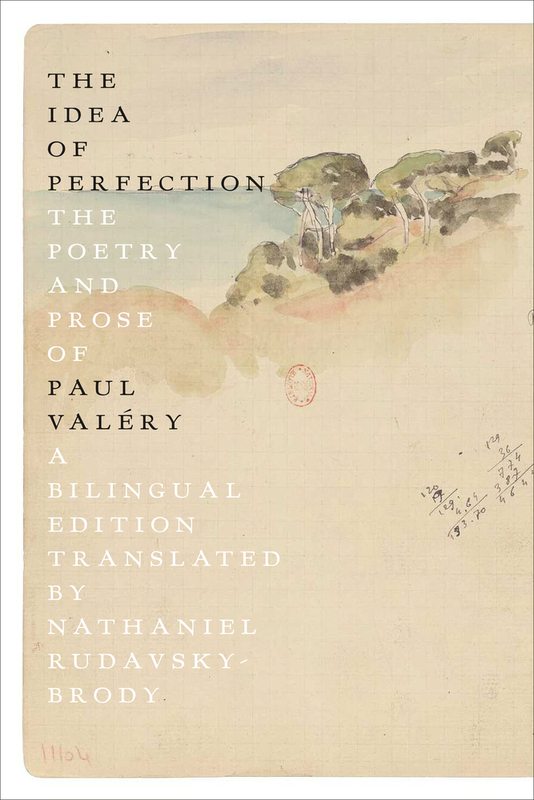 Heir to Mallarmé and the symbolists, godfather to the modernists, Paul Valéry was a poet with thousands of readers and few followers, great resonance and little echo. Along with Rilke and Eliot, he stands as a bridge between the tradition of the nineteenth century and the novelty of the twentieth. His reputation as a poet rests on three slim volumes published in a span of only ten years. Yet these poems, it turns out, are inseparable from another, much vaster intellectual and artistic enterprise: the Notebooks. Behind the published works, behind the uneventful life of the almost forgotten and then exceedingly famous poet, there hides another story, a private life of the mind, that has its record in 27,000 pages of notes revealed in their entirety only after his death. Their existence had been hinted at, evoked in rumors and literary asides; but once made public it took years for their significance to be fully appreciated. It turned out that the prose fragments published in Valéry’s lifetime were not the after-the-fact musings of an accomplished poet, nor his occasional sketchbook, nor excerpts from his private journal. They were a disfigured glimpse of a vast and fragmentary “exercise of thought,” a restless intellectual quest as unguided and yet as persistent, as rigorous, and as uncontainable as the sea that is so often their subject. The Idea of Perfection shows both sides of Valéry: the craftsman of sublimely refined verse, and the fervent investigator of the limits of human intellect and expression. It intersperses his three essential poetic works—Album of Early Verse, The Young Fate, and Charms—with incisive selections from the Notebooks and finishes with the prose poem “The Angel.” Masterfully translated by Nathaniel Rudavsky-Brody, with careful attention to form and a natural yet metrical contemporary poetic voice, The Idea of Perfection breathes new life into poems that are among the most beautiful in the French language and the most influential of the twentieth century. One of the major figures of twentieth-century French literature, Paul Valéry was born in 1871. After a promising debut as a young symbolist in Mallarmé’s circle, Valéry withdrew from public view for almost twenty years, and was almost forgotten by 1917 when the publication of the long poem La Jeune Parque made him an instant celebrity. He was best known in his day for his small output of highly polished lyric poetry, and posthumously for the 27,000 pages of his Notebooks. He died in 1945. Nathaniel Rudavsky-Brody was born in Columbus, Ohio. He has translated the work of French and Belgian poets, including Benjamin Fondane, for which he was awarded the Susan Sontag Prize for Translation. He is the author of two volumes of poetry in French and one in English, A Dire Shortage of Usable Meaning, and has worked as a typesetter, a programmer, and a private tutor in Greece.